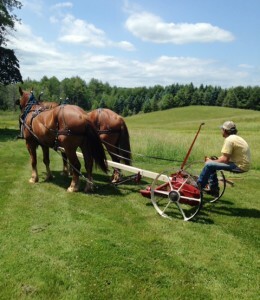 On the farm, we grow hay to feed our horses, and sheep, spread manure on the fields for fertilization, and soil building, and pull logs from our woodlot to supplement the heat in our home. We are experimenting growing our own grain for feed and bedding. We strive for greater sustainability in our agricultural practices in large and small ways. Using horse power is a natural extension of this goal, which reinforces our connection with horses and the many ways they enhance our lives. 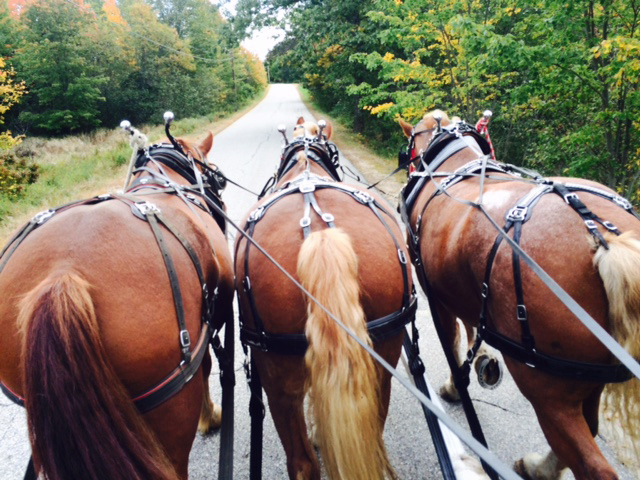 We enjoy hosting clinics and workshops on the farm focusing on horse-powered farming and logging. We believe that the working farmscape is central to our connection with nature, the animals in our care, and the healing environment we provide. The Working Farmscape Program at Carlisle Academy is as much about learning the practical application of animal power as it is about the community-building aspect of connecting to the land, to ourselves, and one another.